Council member Mitchell Englander is proud to partner with the Los Angeles Police Department’s Devonshire Division to present a Movie Under the Stars for National Night Out: America’s Night Out Against Crime. Every first Tuesday in August is a national celebration to promote police-community partnerships, crime prevention, and neighborhood camaraderie. We encourage you to bring picnic baskets, blankets, and chairs. Our Movies Under the Stars events are a great way to have a safe and fun family outing and enjoy the summer nights at our public parks. National Night Out kicks off the summer movie series on August 1st with The Lego Batman Movie at Northridge Park. Admission is free and popcorn and children’s activities will also be available at no charge. Join Team Englander for a great night of family fun! 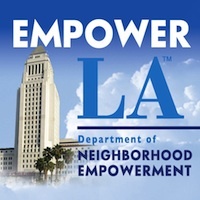 Our North Hills West Neighborhood Council will be staffing an Outreach table at the event. Please stop by and say hello.